Back in October, Bubsy: Paws on Fire was revealed by Choice Provisions, the people behind Bit.Trip and Runner3, that seeks to turn the struggling character into something good. Now, the developers are seeking to add more content to the game in terms of DLC with the help of the community through Kickstarter. The campaign will go live tomorrow at 10 AM PT and is seeking money to add new costumes, themes, and levels such as Commander Video as a playable character. 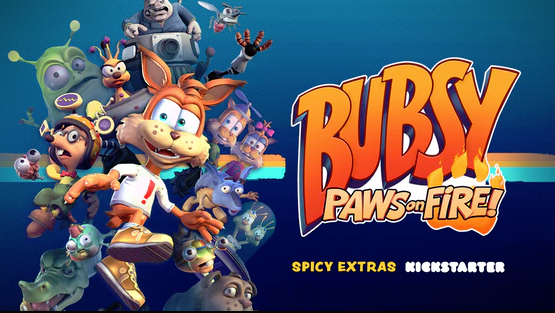 The campaign will have tiers with $2 you'll get Bubsy Two-Fur, donating $10 will garner supporters Bubsy: The Wollies Strike Back, and those willing to give $20 dollars will get Bubsy: Paws on Fire when it launches sometime in April 2019. Higher tiers add even more digital rewards, though a $50 pledge will get you a physical copy of Paws on Fire.